§ 4. Feeling-Tone and Organic Welfare.—Most psychologists support the general thesis that the processes corresponding to agreeable sensation promote organic welfare, and that those corresponding to disagreeable sensation are injurious. Stated more definitely, this means that agreeable process contributes to efficient discharge of function in the organs which it affects, and that disagreeable process disables the organs it affects. There are two senses in which the general proposition can be understood. The meaning may be that on the whole and in the long run a pleasant experience contributes to the welfare of the organism. The proposition understood in this sense no doubt holds good as a general rule, but it is a rule which has many exceptions. Any race of animals which should as a rule be pleased by conditions injurious to them and pained by conditions beneficial to them, would certainly perish in the struggle for existence. But to preserve the species in the struggle for existence, it is not necessary that pleasure should infallibly and universally coincide with ultimate benefit, and that displeasure should infallibly and universally coincide with ultimate injury. Hence we find that many things may be agreeable which are injurious, and inversely many poisons are palatable. Intoxication is very bad for the health; but it may be very pleasant. If we are to establish a universal law, we must consider only the immediate vital activity at the moment in which the pleasant or painful sensation occurs. Sugar of lead has a sweet taste, which is pleasing at the moment; this pleasing taste may in itself be favourable to vital activity, although the substance which occasions it, when introduced into the blood, acts as a deadly poison. Similarly, a bitter drug which is disagreeable to the taste may have a beneficial medicinal effect. The beneficial effect is not due to the disagreeable bitterness, but to subsequent effects entirely disconnected with the original experience. The case of intoxication by alcohol is different. Here the very process which is correlated with pleasure involves a disablement of the central nervous system. The efficiency of the intoxicated person, both for thinking and acting, is impaired. But this kind of exception also may be explained away. The intoxicated person is disabled from accurate methodical thinking, and from precise and delicate coordination of movement with a view to an end. But in general he makes no serious or strenuous attempt to fulfil these functions. If he does make serious efforts of the kind, he finds them very disagreeable. On the other hand, the loose and varied flow of ideas which accompanies the pleasing phases of intoxication, is much more free and expansive than in a state of perfect sobriety. "We all know that champagne promotes conversation having a certain kind of brilliancy; and we all know that the opinions expressed and the arguments used are not likely to bear examination in sober moments. Even when there is no varied flow of ideas, even when a man persists in reiterating the same thing over and over again, his pleasure is connected with the fact that the point he is urging presents itself to him with peculiar vividness and intensity. Thus it appears that in the pleasing stages of intoxication a man is disabled from certain higher forms of mental function; but he does not have disagreeable feelings, simply because conscious activity in these directions is suspended. On the other hand, the kind of conscious activity which continues to go on is not impaired, but intensified, and he consequently feels pleasure. In this last example, we have referred especially to process in the central nervous system. It is in this only that, as psychologists, we have an essential interest. Pleasure and pain are states of consciousness, and consciousness is immediately correlated with neural process. Hence, the question which really concerns us is whether disagreeable processes are essentially connected with obstruction or disablement of conscious and correlated nervous activity, and agreeable processes with the free and unobstructed flow of such activity. If we state the question in this form it seems that the answer must be distinctly affirmative. Disagreeable sensations, in proportion to their intensity, obstruct and disturb mental process and the motor activities which, for their effective discharge, require conscious guidance. 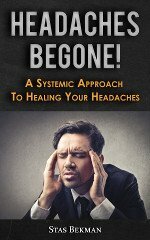 Everybody knows how difficult it is to think or act efficiently with a toothache or a headache, even though the desire to do so is strong. It is not merely that the painful sensations divert attention; this is true of pleasant sensations also, of similar intensity; the point is that the disagreeable sensations positively disorder and enfeeble thought and action, when the endeavour is made to think or act. Of course, if the disagreeableness arising from this or that special sensation is faint, and if the total state of consciousness is, on the whole, agreeably toned, in spite of the presence of this or that disagreeable item, the obstruction to mental activity may not be appreciable. But in principle it seems a safe generalisation that agreeable experience is favourable, and disagreeable experience is unfavourable, to the effective discharge of mental functions.